The Toronto Raptors (38-16) enter Tuesday night’s game against the Philadelphia 76ers (34-19) coming off a win over the Clippers but have lost three of their last five. The 76ers lost Saturday night to the Kings but have won four of their last six including wins over the Warriors, Rockets, and Spurs. Toronto is 2-1 against Philadelphia this season, but the last time these two met, the 76ers dominated the game. 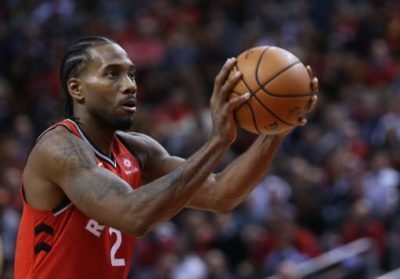 But, to be fair, Kawhi Leonard sat out that game, it was Kyle Lowry’s first game back after missing time because of his back, and they were still adjusting to life without Jonas Valanciunas. It was definitely a different Raptors team. This time, they will have Leonard in the lineup, but Lowry (back issues again) is not expected to play. In his place will likely be Fred VanVleet. While VanVleet is a capable reserve, the team loses something without Lowry. Then again, when Lowry has had to sit this season, the Raptors are 8-4. Philadelphia will be without Wilson Chandler but are otherwise expecting everyone to play. The 76ers have a triple threat scoring a lot of points lately in Joel Embiid, Ben Simmons, and Jimmy Butler. While Kawhi Leonard has had success defending Simmons, he can’t guard everyone. With Kyle Lowry likely out, the Raptors are not going to have enough scoring to keep up with the 76ers. It will be a good, competitive game. But in the end, the firepower from Philly is going to win out. Take the 76ers (-192) to win over the Raptors (+167), straight up and against the spread (-4.5 points). As for the over/under—take the over.